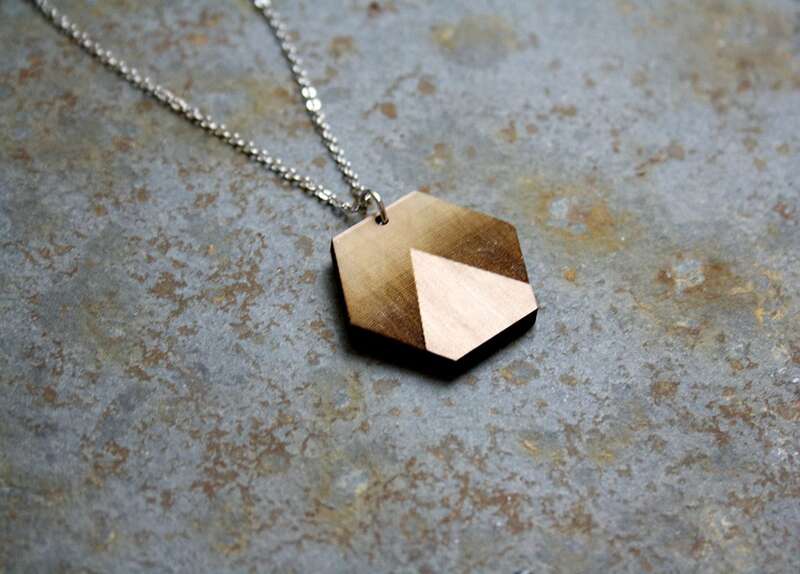 Wooden Necklace with hexagon. Minimal geometric wooden pendant. The shape with the triangle pattern is inspired by sunset and landscape. This wood necklace is also inspired by Art Deco style. ▲ The hexagon shape is laser-cut and then assembled by hand. Triangle shape with hexagon shape engraved / brown color gradient. Design and manufacture are made entirely by myself. Hand made jewel, made in France, Paris. Wood hexagon shape size: 3 cm (diameter) / 1,5 cm (each side) = 1,18 inch (diameter) / 0,59 inch (each side). Wood thickness: 3 mm = 0,11 inch (around). Metal chain: silver colour, 40 cm long = 15,74 inch (around). Clasp fastening. Stainless steel, nickel free. Ready for a unique and original present! 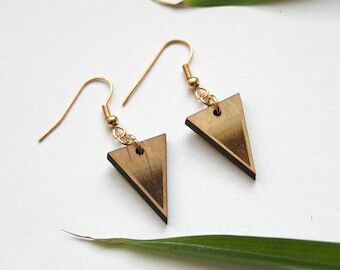 ▲ Similar wooden jewellery are available in my shop.